The sales will also be starting so there will be a chance to get a bargain and spend some of that Christmas money! We will also be open on Sunday 27th and Monday 28th December for the Bank Holiday Weekend. We hope to see you soon and hope you have a great Christmas. 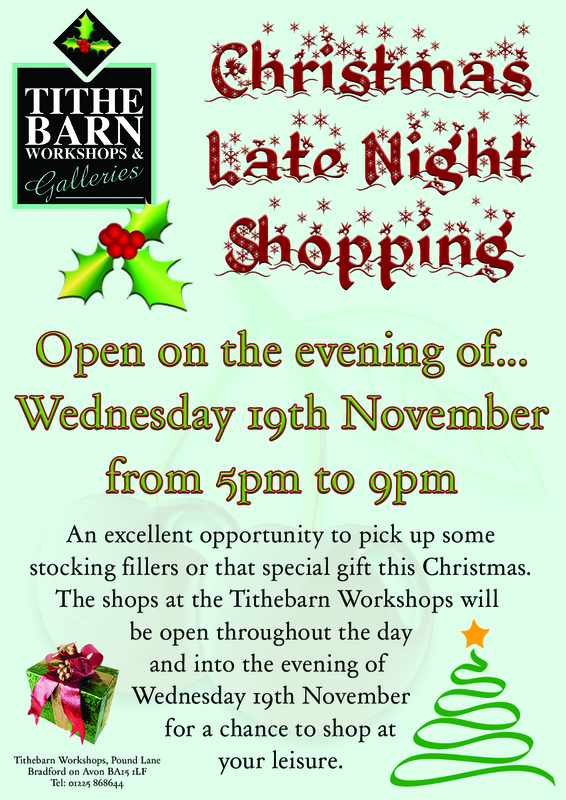 Our apologies for the lack of posting over the last few weeks, but things have been very busy down here at the Tithebarn Workshops. We promise to do better! 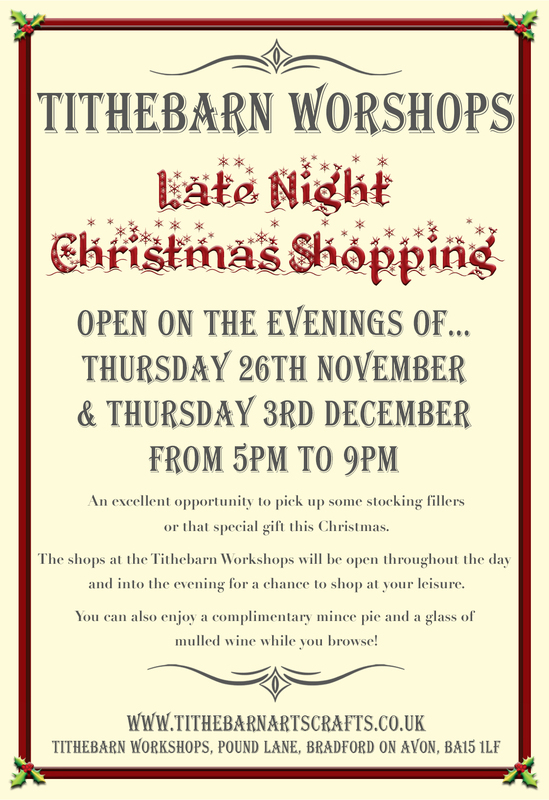 A couple of dates for your diary if you’re running out of ideas for those special Christmas gifts… we are going to be opening for late night shopping on the nights of 26th November and 3rd December this year, for people to enjoy a relaxed and ambient shopping experience. There is always a lovely atmosphere at the Workshops for these evenings and this year is no exception. All the units have a great selection of unique gift ideas for you to choose from and you can enjoy a glass of mulled wine and a mince pie while you shop! We hope to see everyone here and if you would like any more information, please feel free to contact us at any time.